Parts of the Geology Explorer 3D game client. 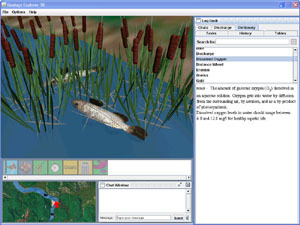 This screen shows a proliferation of aquatic vegetation and a fish kill due to increased nitrate and phosphorus nutrients. 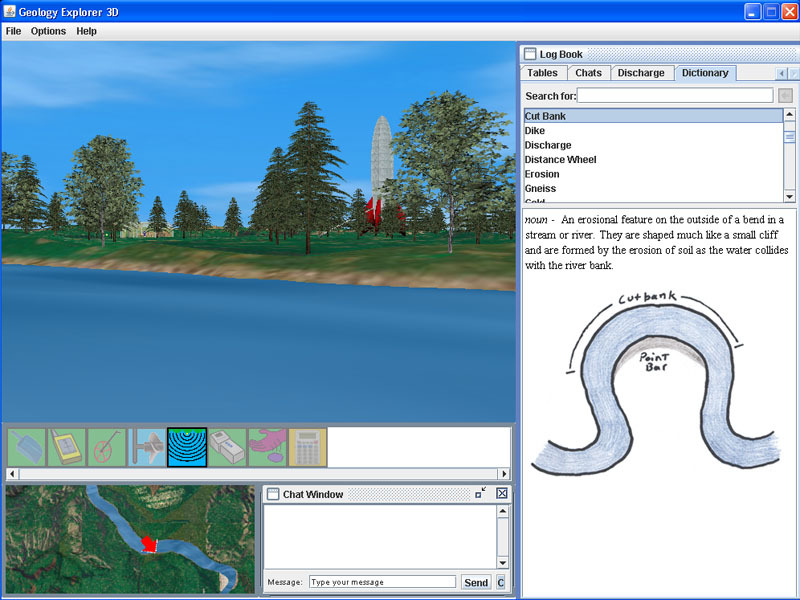 The dictionary entry on the right provides information on dissolved Oxygen. A dead animal found in a small lake. What's happening? Is its death an effect of environmental change or does its death affect the environment? 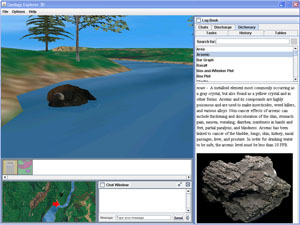 Explore the Geology Explorer 3D IVE to find out.